The European Commission will check eurozone countries' draft budgets to verify whether they are in line with EU rules and will ask for changes if they are not, under a deal struck today (20 February) with the European Parliament, which adopted the so-called two-pack bundle of legislation. After months of wrangling, EU lawmakers backed the new powers for the Commission to further strengthen eurozone budget discipline and prevent another sovereign debt crisis. The new two-pack law complements the existing budget rules, tightened at the end of 2011 through the introduction of swifter financial sanctions for those breaking deficit and debt limits. It gives the Commission an extra level of oversight on member countries' budgets. Governments are free to ignore the commission's recommendations but risk EU legal action by doing so. "These new laws are a key element in building stronger economic governance for the euro area and boosting the EU's armour against further economic crises," European Parliament President Martin Schulz said. The deal is expected to become law in March and will oblige eurozone governments to send draft budgets for the following year, based on independent economic forecasts, to the Commission before 15 October for verification. "This will mean that the euro area can benefit from a more integrated and effective policy-setting framework already for the 2014 budgetary cycle," EU Economic and Monetary Affairs Commissioner Olli Rehn said after the deal was reached. Eurozone countries already agree, in a process that takes up the first six months of the year, on where their fiscal policy should be heading the following year. The Commission makes suggestions that must be approved by governments. The additional step of vetting draft national budgets in October before they are submitted to national parliaments for approval is meant to catch any variations from what governments had agreed to earlier. The new law will allow the Commission to put a country that is "threatened with financial difficulties" under strict surveillance. That means the government would be obliged to deal with the problems that led to the difficulties and be subject to quarterly progress reviews. The agreement ends a long deadlock between the European Parliament and the Commission over the new legislation. While Parliament did not object to the new powers themselves, it wanted in return for its support that the Commission present a proposal for a European Redemption Fund. It would mutualise eurozone debt over 60% of GDP and help pay it down over 20 years via cheaper eurozone funding. The Redemption Fund idea, even though originally presented by a group of German economists, has been firmly rejected by the Germans and several other eurozone governments, which say any debt mutualisation could only come at the end of a long process that would ensure a banking, political and fiscal union first. The Commission did not want to draft a proposal that had no support from eurozone governments. In the end, a deal was possible because the Commission will set up a panel to study the feasibility of the redemption fund and report back by March 2014. The conclusions of the working group will not be binding, but if there is a strong recommendation for such a fund, the EU executive might then decide to draft such a proposal before the end of its term in June 2014. French MEP Jean-Paul Gauzès (European People's Party), rapporteur on the regulation on the strengthening of the economic and budgetary surveillance of member states experiencing financial difficulties, stated: "I am happy that after months of discussions, we have finally reached an agreement in trilogue on the regulations of the 'two-pack' which complement the already-existing Economic Governance Package [six-pack]. Today's decision is a step towards restoring the EU's growth and an incentive for lasting economic recovery. "With such rules in place, we could have avoided the problems currently experienced by some countries and which have threatened the whole eurozone three years ago since it would have been possible to take early, clear and quick actions", Gauzès said. MEP Marianne Thyssen (Belgium, European People's Party), rapporteur on the completion of the Economic and Monetary Union (EMU), said: "The excessive deficits and public debt in some member states can have dramatic consequences, both within these countries and in other EU member states. With the approval of the two-pack, the European Union now finally has all the tools to ensure budgetary discipline in the member states. 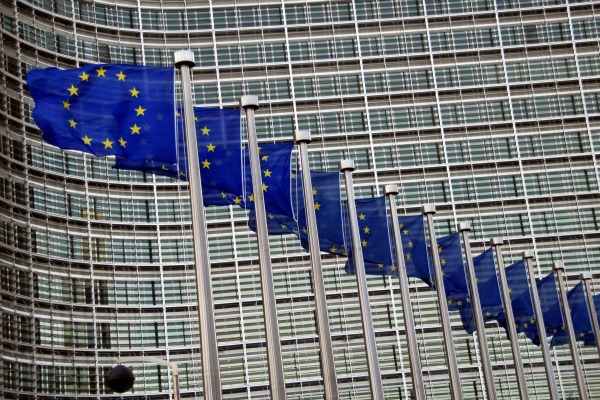 The European Commission will be able to check draft national budgets of the eurozone countries before they are adopted". "In its Blueprint for a Deep and Genuine EMU, the Commission considered that, in the medium-term, a redemption fund and eurobills could be possible elements of deep and genuine EMU under certain rigorous conditions." "The guiding principle would be that any steps to further mutualisation of risk must go hand-in-hand with greater fiscal discipline and integration. The required deeper integration of financial regulation, fiscal and economic policy and corresponding instruments must be accompanied by commensurate political integration, ensuring democratic legitimacy and accountability," they added. The European Commission presented the two new regulations (1 and 2) on 23 November 2011, hoping to draw a line under the leniency that allowed Greece and other eurozone countries to let their public debt and deficits explode. All eurozone countries would need to submit draft budgets each year to the Commission by 15 October for prior examination. The Commission would then have the power to request changes and ask for the budget to be redrafted for member states whose finance situation is deemed unsustainable. The Commission might be asked to defend its decision before national parliaments. National debt forecasts would have to be done by independent institutes. The two regulations are being adopted under Article 136 of the EU treaty, which allows eurozone countries to adopt more stringent rules for themselves. It excludes countries that do not use the single currency. March 2013: European Parliament plenary vote to translate political agreement on 'Two-Pack' into law. 15 Oct. 2013: Deadline for euro zone countries to send draft 2014 budgets to the Commission for prior examination and advice. EURACTIV Greece: Στο μικροσκ?πιο της Κομισι?ν και οι εθνικο? Προ?πολογισμο? This “EU accounts not signed off” is pure UK propaganda. If you google the subject, it is mostly a mantra of british newspapers. The reality is that most of the errors (not frauds, errors) are due to national governments misbehaviour, out of the Commission control. Before repeating electoral statements as trained cocoritos, one should almost try to understand fully the subject. If the Dutch give up their sovereignty, I don’t want to be Dutch any-more. Passport for sale. Take my house, my pension and consider me gone to freedom, free from EU-socialism; the EUSSR…. Emanuelle: This “EU accounts not signed off” is pure UK propaganda – maybe so or not so, but they do piss away 0.5 billion euros on the monthly Strasbourg circus, so I still question the EU spending mentality.